This student submission again comes from my former student Lisa Sun. Her topic: how to engage geometry students when defining the words acute, right, and obtuse. I believe a scavenger hunt will be a great activity for the students to help concrete their knowledge of acute, right, and obtuse angles. It will be a take home activity rather than an activity that they’ll complete in school. I’ve created this scavenger hunt to take place outside of the classroom so students will understand that what we learn in math class takes place in our everyday lives outside of the walls of school. This scavenger hunt activity requires students to observe their surroundings everywhere they go. I want them to find 10 acute angles, 10 right angles, and 10 obtuse angles. Along with that, they must take a picture or sketch accordingly to which angle the image has. (For example, picture/sketch of a corner of book shelf – right angle). To spark some motivation and interest, I will announce to the students that if they are able to find 15 of each angle instead of 10, I will add 2 points to their next exam grade. Archimedes and Euclid are the mathematicians who have discovered and developed the idea of the types of angles that we have today. As a student, when my teachers related the topic with the brilliant minds who made such discoveries, I felt that the topics that I was learning were more relatable and I had gained a deeper understanding of the topic. I hope to do the same for my students with this topic. Here are the following interesting facts about Archimedes and Euclid to keep the students enlightened for geometry. This student submission again comes from my former student Jesse Faltys. Her topic: how to engage geometry students when defining the words acute, right, and obtuse. E. TECHNOLOGY: How can technology be used to effectively engage students with this topic? This is a great video for the end of the lesson when first introducing acute, right, and obtuse angles. A little corny but it’s always helpful to link new knowledge to a song. Music brings back memories or in this situation recognition. By using creative things, you are helping the students reinforce new ideas. Just hearing words will not help us retain the information, but adding the words to a song help reinforce the reminder for the information. We can remember anything if we just put our minds to it. The kids in the video are singing lyrics about right, obtuse and acute angles to the song Old McDonald Had a Farm. The video helps the students to summarize their understanding of the three new terms and a way to retain it for future use. D. HISTORY: How have different cultures throughout time used this topic in their society? In Egypt as far back as 1500BC, measurements were taken of the Sun’s shadow against graduations marked on stone tables. These measurements are just different angles used to show time with some degree of accuracy. 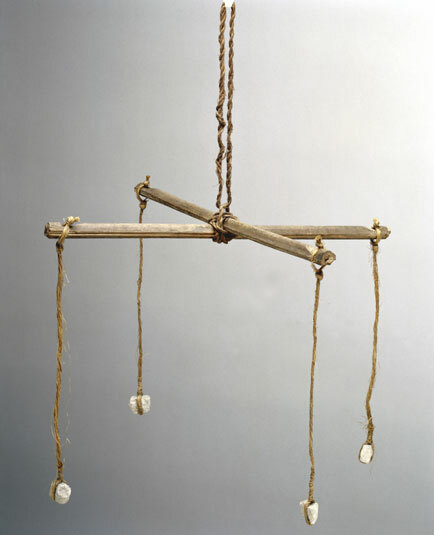 Gromas were used for the purpose of construction in ancient Egypt. Gromas were right-angle devices that the ancient Egyptians used when they began construction project by surveying an area. They could sketch out long lines at right angles. The Romans will actually use the same tool to sketch out their roads. 1,713 years ago they were using right angles. This might be important. C. Culture: How has this topic appeared in pop culture (movies, TV, current music, video games, etc.)? 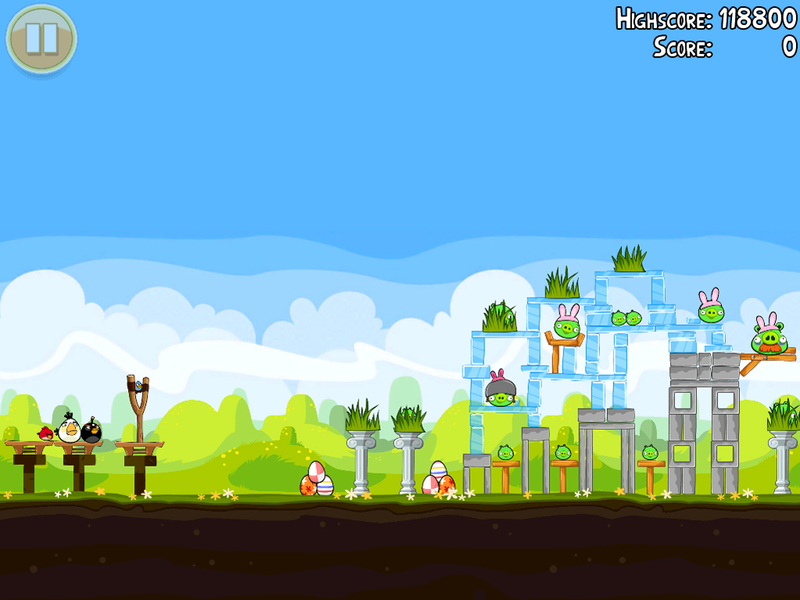 Angry-Birds: “Use the unique powers of the Angry Birds to destroy the greedy pigs’ fortresses!“ Angry-Birds is an app that is played by a large percentage of children on a daily basis. Birds are positioned on a slingshot and launched at pigs that are resting on different structures. We create a zero plane from the bird sitting in the slingshot, releasing the bird, and mark the maximum height reached. We now have an angle. The bird has created an angle with its path. Can we classify the majority of these angles as acute, right or obtuse? Bubble Shooter: A Puzzle game that will help you stay busy for a while! The point of the game is to remove all the spheres by matching like colors. The “cannon” at the bottom of the page is your tool to directing the sphere were you want it to go. You can directly shot the sphere or you can bounce off the edge of the wall. Here is the trick, what kind of angle do you need to deliver your sphere. One of the helpful hints from the website, “you can use the left and right border to bounce new balls in more advanced angles.” These advanced angles can be denoted as acute, right or obtuse.